All Caring Dental in Sutherlin, Oregon features Dr. Donald Randol DDS. He is a very gentle fun loving dentist with skill and knowledge of almost twenty five years of dentistry. Dr. Randol attended and graduated from the University of Oregon in 1982. 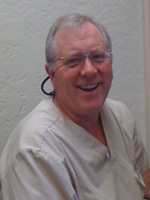 Dr. Randol graduated from University of the Pacific School of Dentistry with a DDS degree in 1986. He has extensive post graduate training in cosmetic dentistry, endodontics (Root Canals), restoring dental implants, invisible braces and sleep disorders. Dr. Randols enjoys caring for patients of all ages and is fluent in Spanish.